As part of the IP Careers series of graduate Employer Q&As, in November 2012 Mewburn Ellis answered your questions. 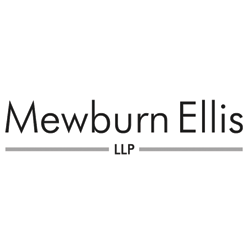 To find out more about Mewburn Ellis and their opportunities, click here. What would you consider to be the best way to get noticed when applying for graduate positions at Mewburn Ellis? What do Mewburn Ellis look for in an application? What advice would you give to a Life Science graduate who wished to make their application stand out? The first requirement in our recruitment process is a good degree in a science subject. We also look at A-level qualifications as an indicator of breadth of scientific interest and knowledge but greater weight is placed on the degree qualification. At Mewburn Ellis we also ask candidates to submit two pieces of written work (as explained on our website). These are descriptive exercises which give us an idea of the way candidates approach detailed scientific writing and also allow candidates to demonstrate the careful and precise use of language that form the basis of much of the job. Careful attention to this written work is probably the best way to get your application noticed at Mewburn Ellis. We receive a large number of applications with good degrees and high A-level grades so these written exercises are a good opportunity for candidates to demonstrate the precise descriptive skills that we are looking for. The same advice applies to all scientific backgrounds; a good scientific degree backed-up by carefully considered written exercises. What advice can you give someone who is a final year science PhD student and wishes to become a patent attorney? Research the career before you start your applications. The IP Careers guide is a good starting point and gives a lot of information about the career in general and the information about different firms is useful to help identify your preferred targets. However, there are only a relatively small number of trainee positions in the profession as a whole so I would certainly recommend applying to a range of different firms to maximise your chances of success. Some companies, Mewburn Ellis included, also run open days to give a flavour of what the job involves and to allow you to get a feel for the company. Take advantage of these if you can. With all jobs, careful preparation of your application is important but perhaps even more so when applying for patent attorney trainee positions where careful use of language and attention to detail are a major part of the job. So, take great care in preparing you applications; you would be surprised how many applicants do not read the employers application instructions properly or submit application forms with typos and other errors. The transferable skills from research to being a patent attorney are mostly communication skills; especially written communication. Writing a PhD thesis will undoubtedly help with this but any other practice you can get writing papers or communicating scientific ideas to a lay audience is helpful in the job and is a nice addition to your CV. There appear to be more trainee patent attorney positions for candidates with Electronics/Physics backgrounds compared to those Life Science graduates. Is this a reflection of a national decline in Life Science- based patent applications? It is correct that across the profession there are generally more trainee opportunities for candidates with a physics and electronics background at the moment. However, I don’t think this is indicative of a national decline in patent work in the life sciences field. I suspect this reflects more the national choices of degree courses over the past few years in which electronics and physics courses have tended to be less popular than life sciences degrees. These lower numbers of electronics and physics graduates have been filtering through to the patent profession over the past few years with the result that many firms have not been able to fill their quota of trainee places in these technical fields and are placing emphasis there now. There is still plenty of work in the life sciences and chemistry areas and many firms (Mewburn Ellis included) are still recruiting life sciences and chemistry graduates, albeit with fewer trainee positions than in the physics and electronics fields. To be successful as a patent lawyer is it necessary to have studied at postgraduate level? If not, is it important to have studied a science at A level? Is a PhD a prerequisite to joining your firm as a trainee patent attorney? At Mewburn Ellis we do not make any distinction between candidates with postgraduate degrees and those applying directly from a first degree course (although I understand that some firms may prefer applicants with a postgraduate degree). Somewhere around 50% of our attorneys hold some form of postgraduate science degree. However, we find that the subject areas in postgraduate studies are typically so narrow that they are rarely encountered in day-to-day practice as a patent attorney. Therefore we place more importance on a good first degree in a science subject and a broad-based science knowledge. I do not think it is necessary to study at postgraduate level to be a successful patent attorney. In fact, it is probably more important to have studied science subjects at A-level to gain a broader scientific background. The only absolute requirement for most firms is that candidates must hold a degree in a scientific discipline. This is a requirement set by the European Patent Office before a person can sit the exams to qualify as a European patent attorney (which most firms ask trainees to do). If Europe adopts a single patent, do you believe this will help the patent profession in the UK continue to grow and thrive? I think the impact will depend somewhat on the eventual geographical arrangement of the central court structure. The proposals for this were to split the central division of the court along subject-matter lines between the UK, France, and Germany with chemical and biotechnology cases being heard in the UK. However, the UK intention to leave the European Union has introduced significant uncertainty about exactly what the final arrangement of the court will be with some commentators even arguing that the Unified Patent Court system might collapse altogether. Despite this uncertainty, even if the UK does leave the EU, the ability of UK patent attorneys to act at the European Patent Office will not change (because the EPO is not an EU institution). So that part of our work will not be affected. At present the two main centres for the patent attorney profession are the UK and Germany and I think that will remain the same for the foreseeable future. If someone becomes a patent attorney in the UK, how easy is it to emigrate outside the EU to practice? The qualifications as a European patent attorney and national patent attorney are not directly transferable to patent systems outside the EU. So if you qualify as a patent attorney in Europe and decide to emigrate outside the EU, you would need to re-qualify in your new country to be able to practice at that patent office. However, many of the principals of patent law are the same or similar in other jurisdictions so much of your knowledge of European law and practical attorney skills of document analysis and technical writing would be transferable so you would not be completely re-starting your training. Is it possible for a law student to do a summer or winter internship with you? No, we don’t typically offer internship positions at Mewburn Ellis. There are really two main reasons for this: the job is so varied that it is not easy to give a thorough idea of what it involves during a short internship placement; also, a reasonable portion of the work that we handle is still secret so we would need to take precautions to avoid any possible disclosures of secret information and to satisfy our clients that we are handling their information with an appropriate level of security. We take a different approach and run open days in the Autumn each year to give potential applicants a flavour of the profession and to allow them to get a feel for Mewburn Ellis as a company. These open days include a variety of talks and exercises that try to briefly illustrate the type of tasks that a patent attorney might encounter and they also include opportunities for attendees to discuss the profession more informally and to ask us questions. Some patent attorney firms do offer internships and these are listed in the IP Careers Employer Directory. Does Mewburn Ellis consider overseas applications from international students? Yes but with some restrictions. The main hurdle is that the European Patent Office require candidates to be a national of a European country (strictly speaking it must be a European country that has signed-up to the European Patent Convention – a list can be found here) before they can be entered onto the register of European Patent Attorneys. We ask our trainees to work towards this qualification and being listed as a qualified European attorney is vital for much of our work. So we only consider applicants who already meet these requirements (or would do so by the time they take the qualifying exams about three years into the job). For international students who do not have English as their first language, it can also be a challenge to develop the precise use of written and spoken English that is needed to thrive in the profession. However, this can be done and we have had trainees at Mewburn Ellis for whom English is not a first language and who have qualified and gone on to become successful attorneys. Is it an advantage to speak more than one language for a career in patents? It can be an advantage but it is less important than a few years ago. Up until recently, part of the qualifying exam to become a European patent attorney required candidates to read at least one technical document in another language (French or German for English-speaking candidates). However this requirement has now been dropped so all exams can now be done in English (or French or German for the European exams). Practically it can be an advantage from a business perspective if you can speak another language to a level sufficient to hold a business meeting or give a presentation. For example it would be very useful to have very good Mandarin, Korean or Japanese language skills given the rising number of clients in those countries. Basic German language skills can also be useful as a large part of the European Patent Office is based in Munich and it is nice to be able to “get-by” when visiting. In the selection process for new graduate recruits, how much importance do you place on the level of degree earned? Is a BSc at a disadvantage when compared with a Masters or PhD? At Mewburn Ellis we do not differentiate between different levels of degree during the application process. We treat a first degree applicant the same as an applicant with a Masters or PhD level qualification. The reason for this is that we usually find that the subject matter studied for the higher level qualifications is very narrow and rarely encountered in the day-to-day job. We normally find that trainees draw more on the general broad undergraduate knowledge than on more specialist knowledge from higher degrees. An advantage that Masters or PhD students may have during the application process is that they sometimes have a better realisation of the commercial impact of research and the routes through to commercialisation which is useful when talking to clients in a business environment. Also, candidates with higher degrees sometimes demonstrate better communications skills, probably gained from presenting their research at conferences or in writing in academic papers. I understand that some patent attorney firms may have a preference for candidates with higher level degrees so the answer to this question would probably vary across the patent profession. Are their different routes for those who have a PhD in relation to the level of experience they may have compared to undergraduates? No, at least at Mewburn Ellis, the training and route to qualification is the same for trainees straight from a first degree as it is for those with a PhD or postdoctoral experience. Despite the greater scientific experience of a trainee with a PhD as compared to someone straight from a first degree, the level of experience at being a patent attorney is, of course, the same (essentially none!). Therefore the competence as a patent attorney of a trainee with a PhD is usually not significantly better than one directly from a first degree. So, all of our new trainees undergo the same training program at Mewburn Ellis and receive the same benefits package (including pay). Does Mewburn Ellis provide the opportunity to work abroad? Are there any secondment opportunities? Yes – we often offer newly qualified attorneys an opportunity to undertake an extended work placement (typically about three months) at an attorney firm in another country. We have previously sent attorneys to Japan, the USA and China. This opportunity usually arises shortly after qualification as a UK and European attorney (i.e. after around 4 or 5 years in the job).